Over 60 years and hundreds of satisfied customers. There isn’t a job our recruiters and managers haven’t seen, meaning that they match up the right person for the right job. Every time. State and national background checks. All workers are employees, not independent contractors. All employees have complete employee files including W-4’s, state withholding documents and I-9’s. E-Verify to document the work eligibility of employees. Scalability with on demand labor. Don’t be held back by normal hiring cycles and timeframes. Have the confidence to quickly respond to opportunities, without the HR headaches and red tape. Strategically plan for the future knowing you have a staffing partner that will be there to help you grow quickly and efficiently. Staff up and staff down as project cycles dictate, scale appropriately as seasonality business comes and goes. "Companies can better control costs and enhance growth by utilizing a strategic staffing partner"
Just Temps operates 24 hours a day, 7 days a week and our three physical offices open at 5:30 a.m. daily. Clients can be assured that we will immediately respond to an emergency order. The Company does not use an answering service. All calls are answered by a staff member. In the event a client calls and gets a voicemail message, it simply means are lines are busy and we will return your message within 15 minutes. Additionally, our clients are provided the direct cell phone numbers of our entire management staff. The size and scope of our regional company ensures that we most always have staff available. 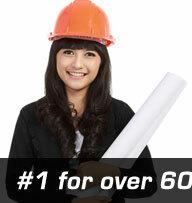 Furthermore, our pool of employees is not limited to a single area or city. 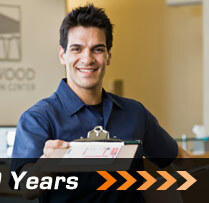 Our employees are located Baltimore, Annapolis, Washington and Northern Virginia. Just Temps operates a Transportation Division. We dispatch employees by van 24 hours a day for short-term orders. We give access to our clients to our online, on-demand, real-time scheduling system so you when your order has been filled and who has been assigned to your job. When you order quantity staff for a large function or project, Just Temps supplies veteran managers, at no charge, to facilitate the staff and liaison with your management team for the entire duration of the event or project. Our proven operating philosophy is clear… We work with you as a Partner to Enhance your Profit and Performance. Our managers don’t just check-in employees and keep time records. They are professionals, sleeves rolled up, ready to get in the trenches and assist client management in any way possible. We hire and retain quality, experienced and skilled people andour training programs and facilities are second to none in our industry, allowing us to better support our clients needs. The scope and scale of our regional Company ensures that our clients receive top quality people. Our three strategically located offices allow us access to a vast and diverse pool of experienced employees from the Maryland, District of Columbia and Northern Virginia region. Also, by being the largest staffing firm in the region for construction and hospitality, it allows us to retain the top talent because they know that through us, they will always have quality jobs. Just Temps also operates a fleet of busses and vans. We know how important it is to have the Right People arrive on time, every time. Just Temps can deliver large numbers consistently and with quality. 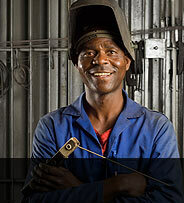 We have supplied individual customers with up to 200 workers in a single day. © 2019 Just Temps - All Rights Reserved.